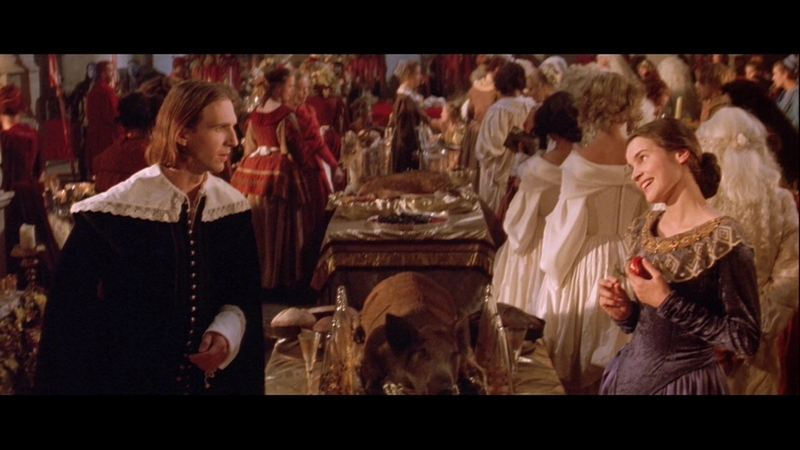 "Set halfway through the 17th century, Greenaway's film follows a church play performed for the benefit of the young aristocrat Cosimo (Lacey). In the play, a grotesque old woman gives birth to a beautiful baby boy. The child's older sister (Ormond) is quick to exploit the situation, selling blessings from the baby, and even claiming she's the true mother by virgin birth. However, when she attempts to seduce the bishop's son (Fiennes), the Church exacts a terrible revenge. An agnostic's vision of the Nativity, The Baby of Mâcon is an elaborate desecration of Catholic iconography, and a merciless assault on superstition and religion. Greenaway breaks down the barriers between the play and the outside world, the actors and their audience, so that the performance itself becomes just another corrupt religious ritual. The film is repetitive, cold and misanthropic; everyone here is a fraud, a cynic or a simpleton; even the baby proves malign".Time-out London.